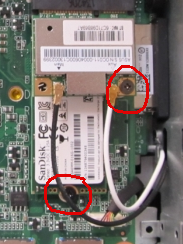 Revisiting Upgrading the ASUS Chromebox nearly a year later. It’s been almost a year since I originally posted how to Upgrade an ASUS Chromebox - more RAM, bigger SSD, and Ubuntu. It’s currently the most popular post on this site, and I thought I’d revisit it with instructions on upgrading the newer model M075U. This comes bundled with a wireless keyboard and mouse. Not much has changed in terms of instructions, the boxes are virtually identical aside from the new box being a newer model with a faster processor.